The modern contact center exists in the cloud – it is everywhere and nowhere, a few lines of code in cyberspace. But behind the webchat streams and web phone conversations, you will find the human agents, sitting at their office desks or working remotely, and behind them – the supervisor. With technological change happening at lightning speed, we decided to look at the role of the Supervisor in the modern contact center, and determine the characteristics of what to look for in a great one. When looking for a nanny for his children, Mr. Banks famously wrote: “Required: Nanny. Firm, respectable, no-nonsense.” He ended up with Mary Poppins, whose spoonful-of-sugar tactics went down better than any no-nonsense governess ever would have. The original film was released in 1964, but there is still a valuable lesson to take from it. It has been well established that high agent attrition rates are linked to bad supervisors. According to the TINYpulse Employee Retention Report, 40% of employees that reported problems with a Supervisor had gone on to interview for a new job elsewhere. Forbes reported similar findings back in 2015. It was such a problem, in fact, that Google launched Project Oxygen in 2008 to determine the characteristics of a good Manager. Their key metrics were employee turnover, satisfaction, and performance. Has a good grasp of the entire business. The characteristics identified by the above initiatives certainly speak to a more Mary Poppins-type personality than the role first envisioned by Mr. Banks. The findings speak for themselves. A good Supervisor is there for their team, is approachable, and is a guiding force rather than an oppressive one. In tech companies, a relatively new role has emerged to build up teams and implement meaningful change – and that role is the Agile Coach. Agile Coaches reshape how organizations operate, how teams collaborate and even influence how businesses respond to change. You will often find the Agile Coach on the floor, offering one-on-one support, and helping their team adapt to new strategies and learnings. It is a hands-on role, geared towards reshaping teams towards greater efficiency and collaboration, and achieving targets. The Agile Coach is a motivating force, an agent of change, and a team player. Everything a good Supervisor should be. What is interesting is that the Agile Coach is a very human role that was identified as a need in the evolving tech space. The parallels between the findings of Project Oxygen and the role of the Agile Coach are clear. It is reasonable then to assert that like the Agile Coach, a great Supervisor brings people together, guides them through change and challenges, and helps them grow in their role. 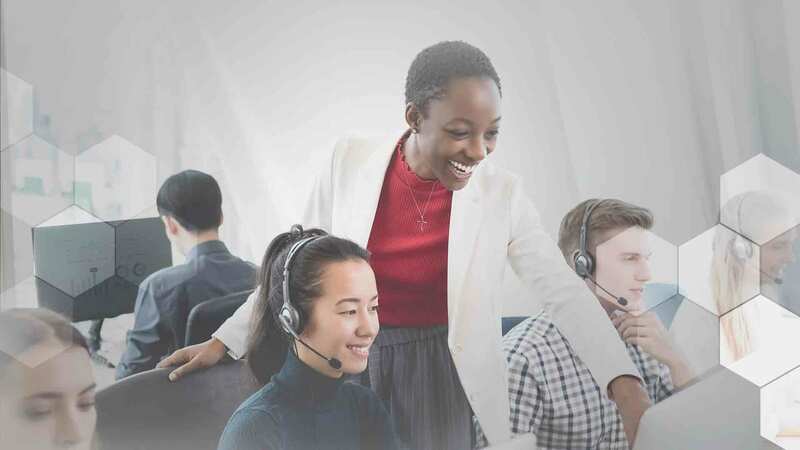 The modern contact center might exist in the cloud, but at the end of the day, it is still the people that matter. And for this reason, the Supervisor will always be a very human role. A great Supervisor should enable people and clear the way for growth. They should be able to lift their team up to help organizations meet their strategic objectives. Want to read more on this topic? Find out what digital disruption means for contact centers here.